File this under Stupidly Simple Seasonal Salads with A ‘Lil Bit of Something Cray-Cray and Not-So. And that’s a pretty good general formula for making a tasty, cheap, healthy and hopefully delightful meal. The cray-cray-not-so in question here are the raspberries, since they’re A) Not in season in my part of the world and B) Not usually found in savory bean or grain salads even if they were. But for some reason I woke up one morning recently thinking about raspberry sherbet—and here we are today. I don’t know why sherbet nor raspberries came to my groggy mind upon waking from sleep, but random food nostalgia has a way of jolting one out of bed. I determined after straightening my head awhile that I would prepare a “deconstructed” version of this craving, in the form of whole raspberries and something dairy. That evening, I fixed up a two-ingredient fulfillment: raspberries and vanilla yogurt. Afterward, I had half a pint of fresh (i.e. quickly perishing) raspberries to deal with. I’m grateful that I could find organic raspberries to begin with, even if they were trucked in across the country from California. Delicate berries are usually given a hefty dose of pesticide per their diminutive size and weight, so you could be eating morsels of potentially dangerous chlorpyrifos or glysophate with each (to say nothing of the people picking them in the fields). Kind of makes the idea of a healthy lentil salad wilt. You could easily see grape tomatoes taking up the real estate for the raspberries in this dish in the summertime. But we’re kind of at a loss for those in the East Coast right now—along with berries. Weirdly, both seem to be readily found in any grocery store even in the midst of winter, although raspberries command a far higher price. That’s fair, I would say, and helps to make me think of them as rare indulgences reserved to dream-induced cravings. Then, what of that nineties-sensation salad dressing of “raspberry vinaigrette”? Here’s a deconstructed version of that, too! With a slick of good olive oil, some tart raspberries that burst in your mouth are the perfect—and easiest—route to reliving it. Then, to go along with them, some simple brown lentils that are super-quick to cook (compared with most beans and even some stubborn whole grains). And some meaty chunks of a kabocha squash, those densely sweet Japanese pumpkins. Keep the skins on, because they’re fine and great, even, cooked. Finally, some paltry roasted twigs of broccoli crowns. Oh and finally—some broccoli stems. 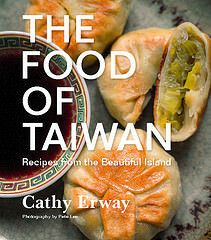 I’ve always enjoyed them, as my mother always included them in her stir-fries when I was growing up. They were always trimmed of the thick hides of skin along their sides with a few deft swipes of a chef’s knife, and sliced up to thin sort-of discs. So here I’ve done that, but instead of roasting them along with the trees, I quick-pickled them in a vinaigary solution to add more crunch and tang to the salad. This is kind of like the spoonful of sugar to make the medicine go down. 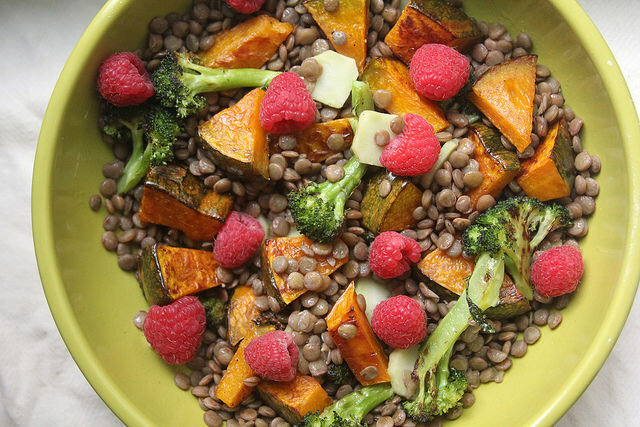 Say yes to lentils and healthy stuff this season while welcoming your own winter vice. 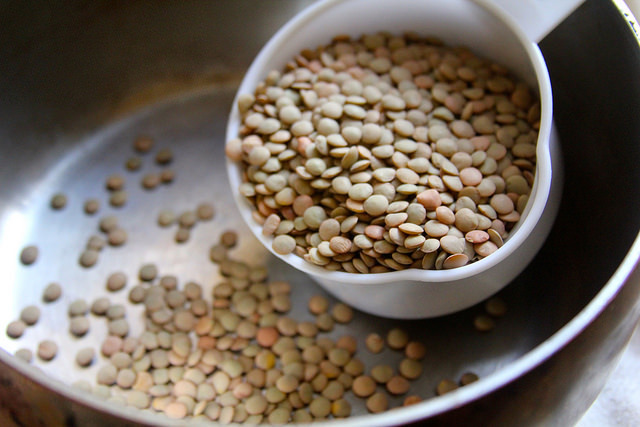 Place the lentils and 1 ½ cups water in a small pot (or follow directions on your package of lentils for measurements). Bring to a boil, then reduce heat to a simmer and cover. Cook about 15 minutes, or until the lentils are just tender and water is evaporated. Remove immediately and let cool several minutes. 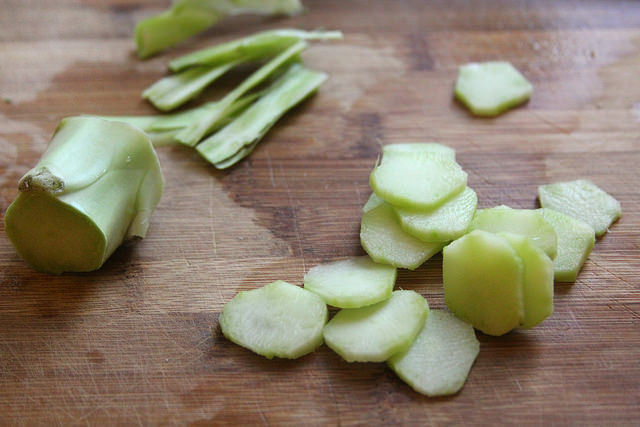 If you have a broccoli stem, trim the tough end and trim off the skins with a knife, revealing a crisp, light-green cylinder. Slice it into thin discs and place in a bowl. 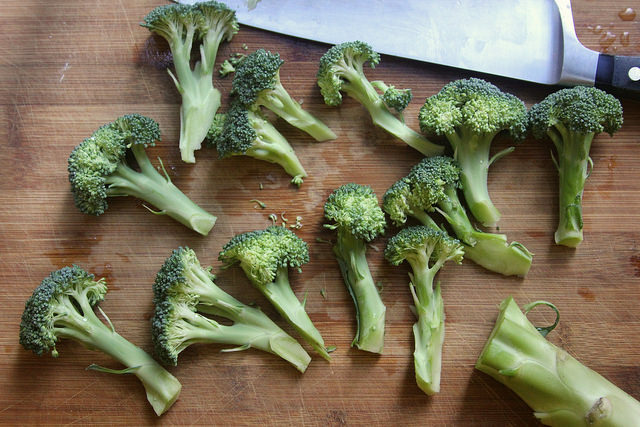 Heat the vinegar and ½ cup water along with a pinch of salt until bowling, and pour over the broccoli stems. Let sit while you prepare the rest of the ingredients. Meanwhile, preheat oven to 400 degrees. 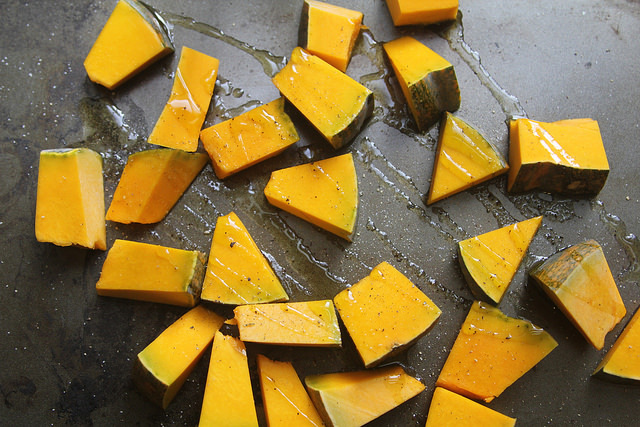 Toss the squash chunks with 1 tablespoon of the oil and a generous pinch of salt and pepper. Place on a baking sheet spread out so that each have direct contact with the pan. Roast for 10-15 minutes or until the bottoms are golden-brown. Meanwhile, toss the broccoli with 1 tablespoon olive oil, along with a pinch of salt and pepper. Arrange them in the baking sheet spread out so that they have enough contact and aren’t piled (use an additional another pan if needed). Roast for another 10 minutes or until lightly browned. Remove the vegetables from heat and let cool several minutes. Once everything has cooled, toss the lentils with the remaining olive oil and salt and pepper to taste. Fold in the roasted vegetables and drained pickled broccoli stems. Top with the fresh raspberries and serve. 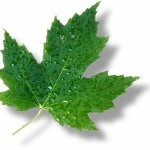 Two maple leaves: This is inordinately healthful, just what you needed for the post-holiday/New Year’s Resolution midwinter slump. Legumes such as lentils not only give you protein but fiber and they’re oh so good for your heart. 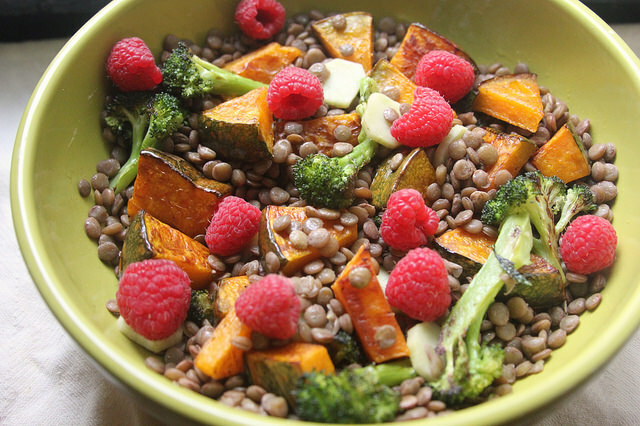 Winter squash and broccoli are chock full of antioxidants and phytonutrients to keep away colds. Finally, raspberries are a sweet dose of extra Vitamin C. You can’t really ask more from so few ingredients. Seven maple leaves: You can always leave out the raspberries if you don’t feel like splurging on a specialty item that’s not in season. Because aside from them (and olive oil/vinegar/salt), everything’s easy to find in winter no matter where you are, and keep well in your pantry or fridge. So stock up on squash, lentils and hardy greens like broccoli so you can always whip up something like this for an easy meal. This looks like a great winter salad. I really like how you used fresh raspberries instead of cranberries or something else. A simple switch I never thought of… thanks for the idea! I have learnt many more things here and now i like to share this online tutorial with all of you.This is the place for those windows 10 operating system users who wants to solve this Error 0xc00007b from their desktop.